The 2015 Patriot loses its nifty cargo light/flashlight combo, but navigation is now available on the midgrade Latitude trim. It offers superior performance and excellent quality to make your trips a lot of fun. This popular car will be redesigned to a lesser extent compared to its predecessor. It will be a very popular wide spectrum of consumers, because its purpose is very broad, so it is good to say that it is very suitable both for city driving and for driving on rough terrain. Go farther out there with the Jeep Patriot. The 2.0L World Engine (4x2) offers up to 30 hwy mpg so you can extend your adventure. Such exceptional performance lets Patriot attain more than 400 miles on a full tank of gasoline. Patriot offers an efficient Another variant of the engine is a 2.4 L four-cylinder with 172 hp. Said engine will work in conjunction with the five-speed manual transmission or CVT transmission, and features will be a choice of automatic or manual mode. Confirming the Jeep brand's place as the leader in 4x4 innovation and off-road capability, the Trail Rated badge signifies that any vehicle holding it has been tested to perform in five categories of off-road conditions including: traction, ground clearance, maneuverability, articulation and water fording. 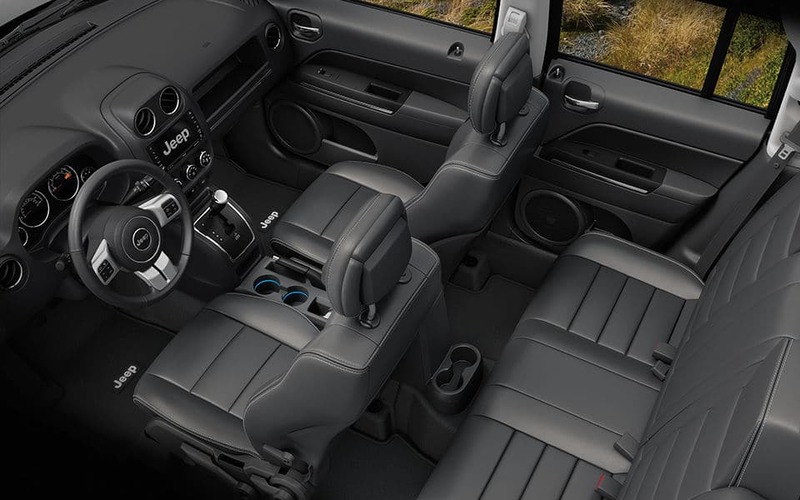 Patriot features a spacious interior with soft-touch points for added comfort. Handsome chrome accents along with an available and stylish hand-stitched, leather-wrapped steering wheel, demonstrate the vehicle's renowned workmanship. Set straight out thanks to the available advanced Uconnect 430N system with navigation by Garmin. It features the Garmin intuitive user interface and navigation with lane guidance. Patriot is identified by aggressive exterior styling with a body-color seven-slot grille, authentic design steeped in Jeep® brand DNA. Patriot helps protect you from the frame up with six airbags including new standard supplemental front seat-mounted side airbags, and a multitude of Safety & Security features. In the language of the proud serviceman and servicewomen who truly exemplify freedom, being "on the move" or "on mission" represents the special status given to those who have served to protect our country. The Jeep brand is proud to honor this duty to country with the new Patriot Freedom Edition. For more information on this vehicle, feel free to give us a call today! 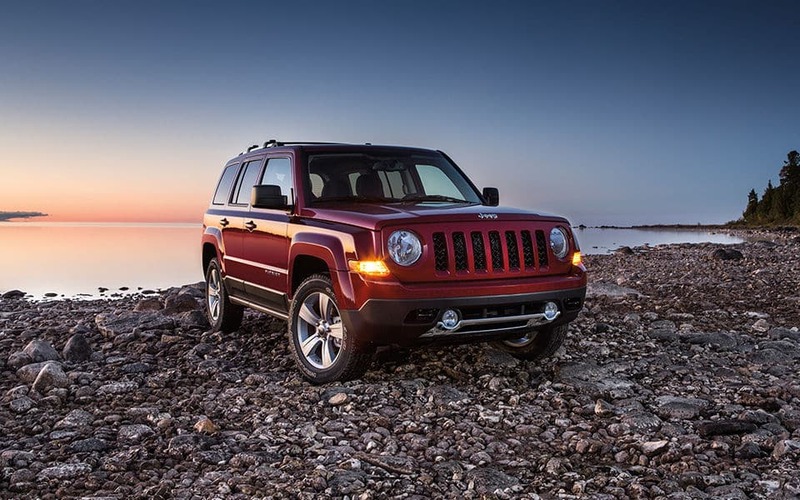 Learn more about this model on the Official Jeep Patriot Website.